PADI (Professional Association of Diving Instructors) is the main scuba diving teaching medium on Phi Phi Island Thailand. There 17 different dive establishments, including resort operations, from the one man band independent to the fully fledged 5 star IDC PADI school. Discover Scuba, Open Water, Advanced, Dive Master diving courses are available every day of the year. Dive Instructor classes are available at set dates. See Moskito Diving below. Hotel Dive schools are at Holiday Inn Resort Phi Phi Island at Laem Tong and Phi Phi Island Village Resort at Loh Bagao in the northern part of the Phi Phi Don Island. 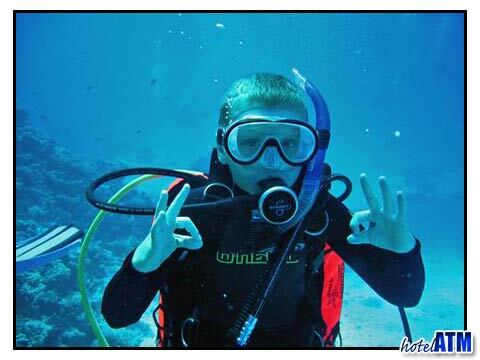 The different schools offer different languages through which courses are taught and fun dives are led. The usual languages are English, German, French, Italian, Swedish, Norwegian, Danish, Japanese, Korean, Thai. Some seasons there are Dive Masters or Dive Instructors with the following languages. Polish, Czech, Russian, Israeli. Check with the Dive schools on Phi Phi Island directly for this information. Phi Phi IDC is a relaxed nine day program, run by PADI course director and DAN instructor trainer J.P. Vuorio.